WEST PALM BEACH, Fla.- The $200,000 International Hot Rod Association (IHRA) Summit SuperSeries is featured weekly at the nearly 100 IHRA-sanctioned member tracks and is the most prestigious bracket racing national championship in drag racing! No walk in the park is how Jim Shaw of Davie, Fla., describes the challenging competition at both Palm Beach International Raceway, Jupiter, Fla., and Immokalee Regional Raceway, Immokalee, Fla. In 2017, Shaw claimed IHRA Summit SuperSeries track championships at both facilities. The task was not easy as he faced stiff competition nearly every week. However, the opportunity to race every week due to his convenient location makes the IHRA Summit SuperSeries an enjoyable series to take part in. Shaw’s track championships qualified him to race at the IHRA Summit World Finals at the Memphis International Raceway in Memphis, Tenn. However, the best part of the weekend for Shaw was the chance to bond and form new friendships with fellow racers. Participating tracks will crown Summit SuperSeries track champions in Top (Box), Mod (No Box) and Junior divisions October 18-20, 2018 at the Memphis International Raceway in Memphis, Tenn. The championship prize package for the Top and Mod Division World Champions is $20,000 to win, an IHRA Gold Card, a World Championship Ironman Trophy, a World Championship diamond ring and a seven-night/eight-day vacation for two to Aruba. The rest of the points fund is as follows: $7,000 to the runner-up, sixth-round $2,000, fifth-round $1,000, fourth-round $700, third-round $600, second-round $400 and first-round $300. The Junior Dragster payout last season included a brand-new, turn-key dragster from American Race Cars, plus $3,000 to win. The rest of the point funds is $2,000 for runner-up, sixth-round $1,000, fifth round $800, fourth-round $500, third-round $400, second-round $350 and first round $300. To get in on the action, competitors simply sign up for their IHRA Member Track points program while becoming a member of IHRA or simply renewing their IHRA membership. Competitors are then issued an “X” number (the second digit of the Summit SuperSeries registered numbers is an X) and that number must appear on your car during your track’s points earning events as well as on your track’s points listing on their website. For a listing of IHRA member tracks click here. 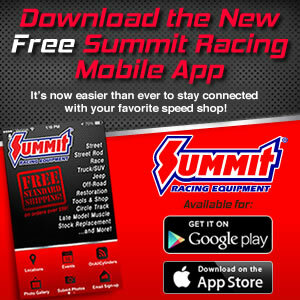 A full series flyer and complete rules on the Summit SuperSeries can be found here. To register for the program, simply contact the IHRA membership department at 561-337-3015 to renew an existing membership or visit the online IHRA Membership page to download the membership license & number application for new members.